Family ownership of a media company — or any other kind of company — can be a beautiful thing. But it has its own unique challenges and solutions. Running or working for a media company presents plenty of challenges these days, as anyone in the business knows. But owning a media company adds even more issues, choices and decisions. These can be immensely troubling and difficult, whether you’re a sole owner or a member of an owning family. If not handled well, these problems can compound the ordinary challenges. They may even prove fatal to the business. How will ownership be passed along in the family? How will the family handle business leadership transitions? 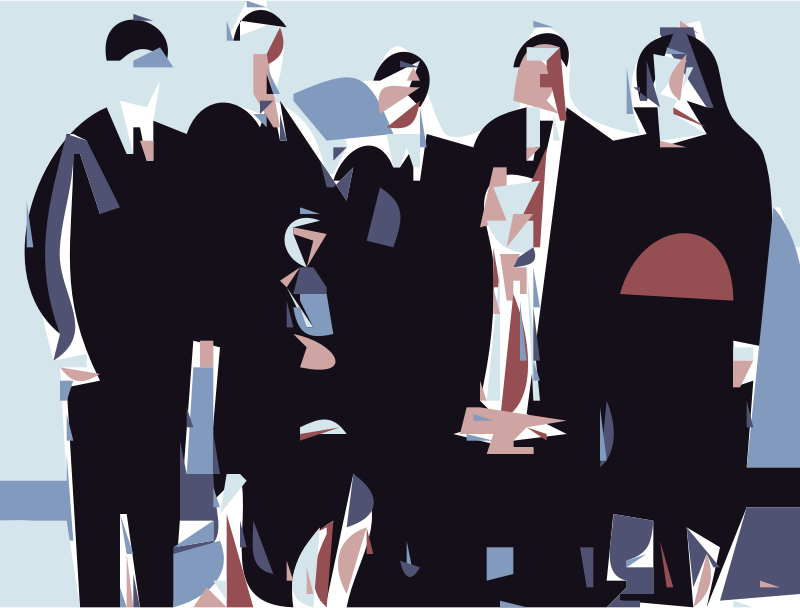 What sort of governance structure — e.g., board of directors and officers — do we need? Who should serve in these roles? Family only? Outsiders? How will the family agree on its core values, and how will they sustain those within the business? How will new generations be brought into the business? How will the family fund the investment needs of the business? How can family owners who don’t work in the business be kept engaged and supportive? As ownership disperses into new generations, how do you maintain unity and consensus? To do this, what structures, roles and communication channels are needed within the family? These can be life-or-death issues for a family business. More than a few media companies have been sold or restructured because they didn’t deal with them successfully. As a third-generation member of a newspaper family, I experienced a number of these issues firsthand. And now, as a non-family executive at Morris Communications, I’ve worked on some of these issues with the Morris family. Here’s my message in this blog: If you’re a family owner, you don’t have to invent new solutions for these issues on your own. There’s good help out there, and you would be very smart to take advantage of it. It’s true that you won’t find this kind of help at the media industry’s major conferences. The only exception I’ve seen is the Inland Press Association’s family ownership conference. It’s held as a separate event in conjunction with Inland’s fall annual meeting — just concluded in Colorado Springs, Colo. Many years ago, I attended the first of these Inland sessions. It was a breath of fresh air. Finally, fellow newspaper people were discussing the kinds of private and personal issues that my family, too, was facing. But here’s the thing — these aren’t newspaper issues. They are family business issues — and all family businesses have them. Several years ago, at Morris Communications, I felt we needed new thinking on these issues. So I went Googling, looking for conferences that would offer the best current thinking and best practices for family business issues, regardless of industry. In other words, the program consists almost entirely of speakers and panels who are family owners or non-family executives of family businesses. The sessions focus on important issues and challenges they have faced in their own businesses, and they describe how they have handled them. Every item on the bullet list above is sure to be addressed at each Transitions conference, either specifically or along the way. And virtually all conference attendees — meaning the people at your table — come from family businesses of many types, sizes and descriptions. The networking opportunities come non-stop. My first of these conference was Transitions East in March, 2014. I went alone and took exhaustive notes. Afterward, I produced a detailed report for G2 and G3 (Transitions shorthand for second and third generation) of the Morris family. These conferences were hugely helpful in bringing key family issues to the table for discussion in the Morris family, and they showed us many well-proven solutions. Those are the benefits you can expect, too. That’s why the Transitions conferences usually sell out, with roughly 300 people in attendance. Many of those people are regulars, and many families bring several members so they can all learn together. Businesses range in size from single auto dealerships to huge national brands (Bush’s Baked Beans, for example). In the American newspaper industry, family ownership has been a firm foundation for decades. But tough times in business can bring bitter stress into families. Getting better ideas on how to make business decisions within the family can save not just the business, but also the family. This year’s Transitions West conference is coming up, and there’s still time to make reservations. It will be held Nov. 1-3 at the Coronado Island Marriott in San Diego, Calif. Here’s more information on the conference, the program and the speakers. To improve your family’s chances of lasting into the next generation and beyond, I strongly urge you to take a look at the Transitions program and consider attending. In fact, I would advise you to take more than one family member. I can say with confidence that you will gain a wealth of knowledge to help you preserve and sustain your family in business. And if you’re NOT a family member, but you work for a family-owned newspaper company, I would urge you to pass along the link to this blog post to a member of the family. You may help your owners find their way forward. The cost and the time required to attend these conferences are dwarfed by the rich experience of discovering that you’re not alone, and that there are tested and proven solutions to the problems your family faces. Posted on September 25, 2017, in leadership, media management, media ownership, selling a media company and tagged family business, family ownership, media ownership. Bookmark the permalink. Leave a comment.